When a major trauma impacts our lives, there is the inevitable grieving process that we all have to deal with. This process impacts different people in different ways and the length and severity of the cycle is not finite. There is a roadmap for the grief cycle that can assist you in understanding your personal journey and ways you can manage each stage as well. There is no textbook way to map grief or the journey from discovery to recovery. Each person will tread a different path through the stages. Elisabeth Kübler-Ross and David Kessler documented the emotional journey in the book On Grief and Grieving. It outlines the stages of grief every person can expect to encounter on their personal journey. They might not necessarily be in this order and there may be steps that some individuals skip or dwell on, but it gives you a snapshot of what to expect throughout the grieving process. “The (stages) were never meant to help tuck messy emotions into neat packages,” Kessler says. “They are tools to help us frame and identify what we may be feeling. But they are not stops on some linear timeline in grief. “Our hope is that with these stages comes the knowledge of grief’s terrain, making us better equipped to cope with life and loss. Denial: In the fog of shock that falls in the initial stages of grief, the world can feel unreal and you can feel numb. This is a period where it becomes about just getting through the day while life makes no sense. Kessler says this fog was a natural response to a major trauma.”Denial helps us to pace our feelings of grief. There is a grace in denial. It is nature’s way of letting in only as much as we can handle,” he says. Anger: Once denial wears off, anger sets in. This is largely because anger is the most common emotion that humans deal with. Kessler advises grief sufferers to embrace this anger, as truly feeling it will help you move on.”Anger is strength and it can be an anchor, giving temporary structure to the nothingness of loss,” he says. Bargaining: This takes many forms and is present both before and after a loss. Beforehand, you could plead with a deity to intervene, offering up promises or commitments you will undertake. Afterwards, this can be the same, offering promises in return for time to turn back or for it all to be a bad dream. Bargaining can also involve thoughts of ‘what if’ and ‘if only’, measures you think you could have taken to change the outcome.”The ‘if onlys’ cause us to find fault in ourselves and what we ’think’ we could have done differently. We may even bargain with the pain,” says Kessler. Depression: After living in a fog, then living in the past, the reality sinks in and we feel the pain in the present. This is where the pain will likely hit the hardest and for the longest period of time.”It’s important to understand that this depression is not a sign of mental illness. It is the appropriate response to a great loss,” he says. Acceptance: It is possible you will never come to terms with your loss completely; acceptance isn’t about getting over it. This is where we learn to live with the pain, mitigate it and move on to be able to live the best quality of life we can. “Finding acceptance may be just having more good days than bad ones,” Kessler explains. 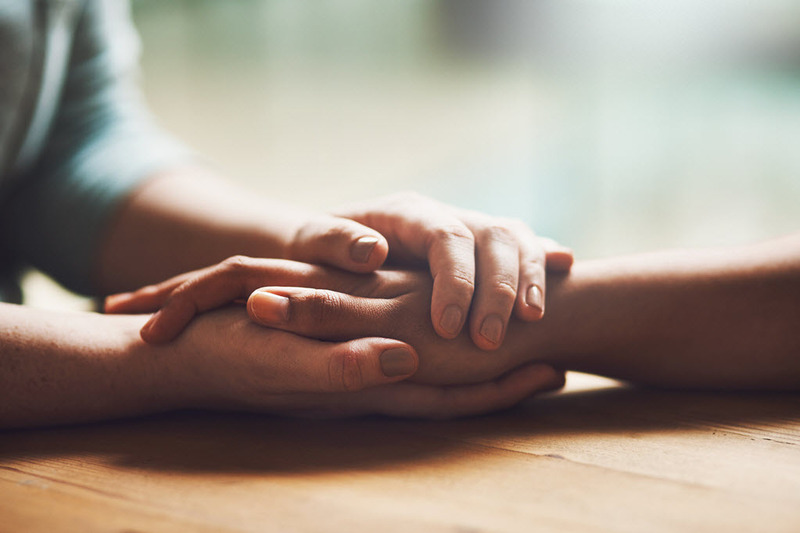 First and foremost, it is important to speak to your GP about your feelings and seek the proper support and counselling to assist you in managing the cycle of grief. Don’t try and take it all on your own shoulders. You don’t have to and there is a network of support available to you. Lean on your own network of friends and family as well, they are there to help you. You could also consider joining a support group of people who are going through similar experiences as yourself. Your mental health can often be influenced by your physical health, so try not to slip in this area – even though it will be harder than usual. Try and keep a routine of exercise and healthy eating to keep you well. Finally, try to engage in the activities that you enjoy – even if you don’t feel like it. The endorphins produced from pleasurable activities will help you through your grief. If you are experiencing the symptoms of grief, talk to your GP or seek other professional support. If you are experiencing depression, contact Lifeline on 13 11 14 24 hours a day, seven days a week.